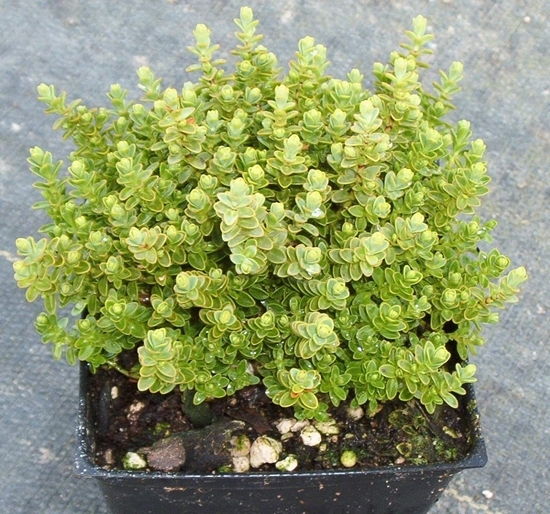 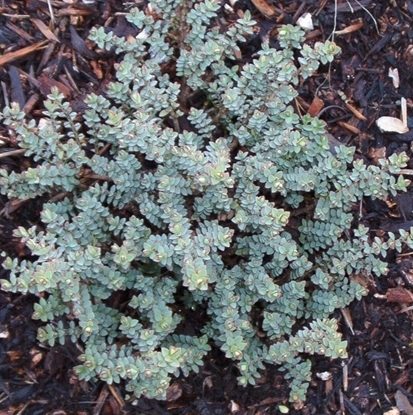 Ultra-dwarf evergreen shrub, with tiny leaves that are grayish blue-green. 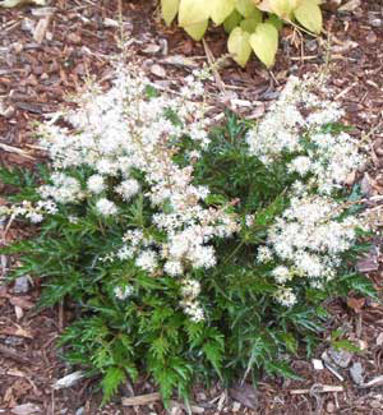 Less floriferous than the species. 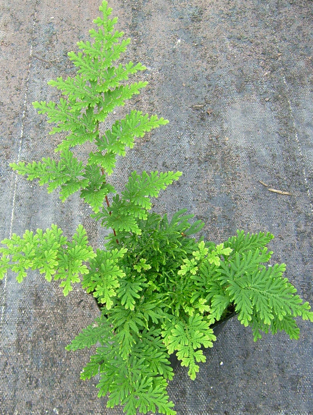 Perfect for fairy gardening and troughs.